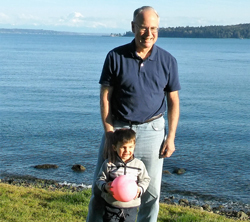 Doug Whalley is a volunteer at the Bainbridge Island Historical Museum (BIHM) and a retired federal prosecutor. His grandparents were among the early residents of Bainbridge's South Beach community, building a summer cabin soon after they returned from the Klondike Gold Rush in 1905. 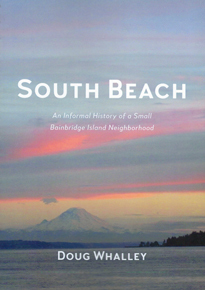 Today, the fifth generation of Whalleys is enjoying the neighborhood and Doug Whalley documents the community's evolution in his book South Beach: An Informal History of a Small Bainbridge Island Neighborhood (2017). His book is being sold at Eagle Harbor Books and BIHM, and is also available at the Bainbridge Public Library. 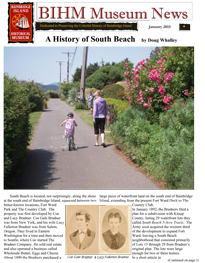 For more information go to http://bainbridgehistory.org/2015_1%20January%20Newsletter.pdf.